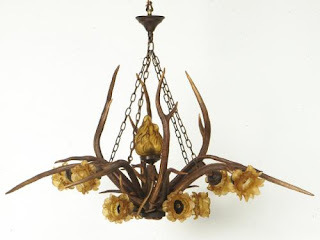 Antique French chandelier made from antlers with amber glass shades. 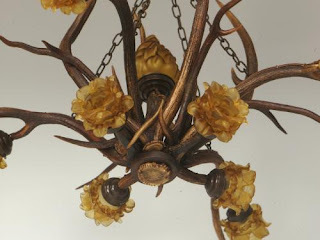 This antique chandelier is from the turn of the century and was originally for candles, now electrified. 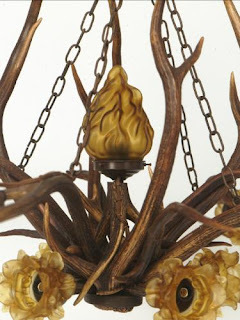 The set comprises one chandelier and two sconces.